Sen. Elizabeth Warren addressed the president’s comments about her Native American ancestry head-on during a speech in Sioux City, Iowa, Saturday, giving a glimpse of the strategy she could use to take Trump on in the 2020 presidential race. 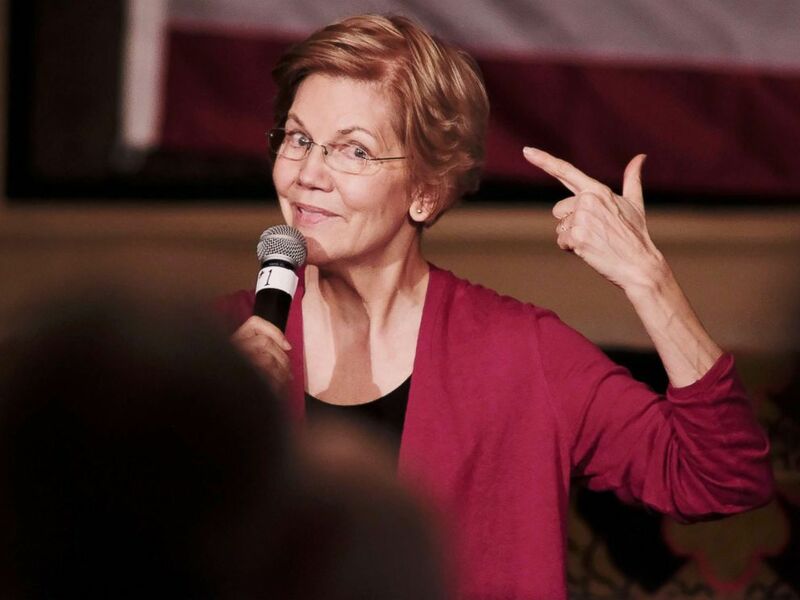 She was briefly interrupted by an audience member shouting, “yes you can!” Warren laughed and continued. Elizabeth Warren, center left, meets attendees after her organizing event in Sioux City, Iowa, Jan. 5, 2019. Warren has repeatedly declined to go in-depth on Trump’s rhetoric and has not frequently mentioned him by name while traversing Iowa, instead focusing on her key talking points like the economic issues for working- and middle-class Americans, including student loan debt, strengthening unions, consumer protections and getting corporate money out of politics. She made those issues the hallmark of her speech Saturday, speaking about her father’s job as a janitor and her mother’s decision to work at Sears to help the family. Elizabeth Warren talks to attendees as she holds an organizing event in Sioux City, Iowa, Jan. 5, 2019. The response from Warren on her heritage was prompted by an audience member during a question and answer portion following the senator’s speech. 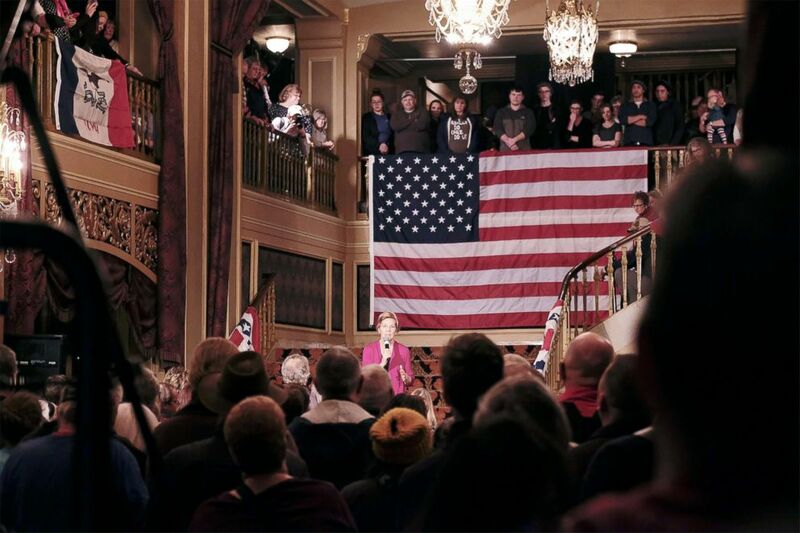 Taking the mic at the crowded Orpheum Theater, she asked Warren why she took a DNA test to prove her Native American ancestry after Trump called it into question. The president has repeatedly referred to her as “Pocahontas,” which many believe amounts to a racial slur. Trump promised that, if he were to ever debate Warren in a general election, he’d give a million dollars to charity if Warren would take a test to prove her heritage. 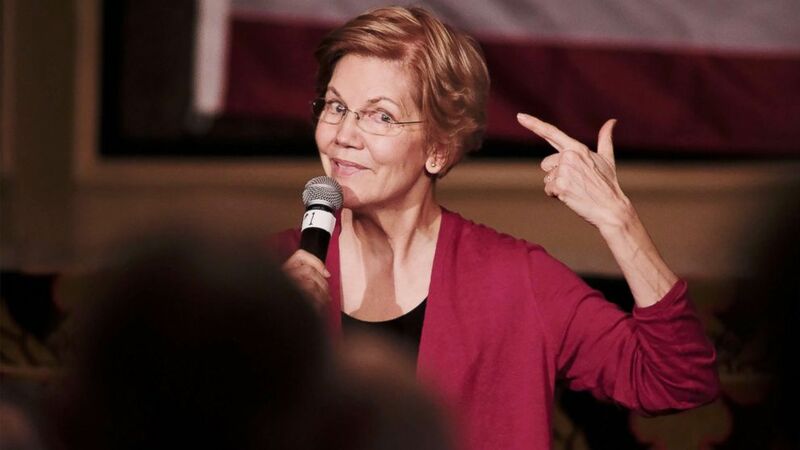 In October, Warren released the results of her DNA test, which shows “strong evidence” of some Native American ancestry. “While the vast majority of the individual’s ancestry is European, the results strongly support the existence of an unadmixed Native American ancestor in the individual’s pedigree, likely in the range of 6-10 generations ago,” the report read. But Trump has continued to criticize her and say the test was not valid. “My question to you: why did you undergo the DNA testing and give Donald Trump more fodder to be a bully?” the woman asked. “You know, I’m glad you asked that question, I genuinely am, and I’m glad for us to have a chance to talk about it,” Warren responded. “When I first ran for public office, the first time was in 2012, and the Republicans honed in on this part of my history and thought they could make a lot of hay out of it. A lot of racial slurs and a lot of ugly stuff that went on, and so my decision was, I’m just going to put it all out there. Took a while, but I am just going to put it all out there. All my hiring records, including a DNA test, it’s out there, it’s online, anyone can look at it,” she added. The Democrat from Massachusetts is the first high-profile figure to announce an exploratory committee and has picked up staff from other presidential campaigns, hitting the ground early. Iowa is the first state to hold a major contest in presidential elections with its caucuses and holds unique power — it can fuel momentum, as it did for Sen. Bernie Sanders during his presidential run in 2016 — or hamper it.